Socrates was a Greek philosopher, who is often considered to be the father of Western philosophy, and a key figure in the development of Western civilisation. Socrates left no actual writing so impressions of Socrates have come primarily from the writings of his student, Plato. 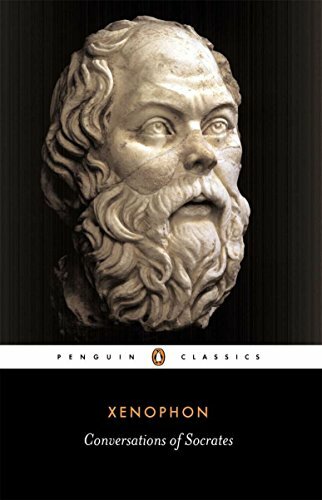 There are also other contributions from Xenophon and a contemporary playwright – Aristophanes. It is possible that Plato embellished the legacy of Socrates by making him appear the noblest philosopher; an ideal to be cherished and followed. The extent of this embellishment is hard to quantify, but the life of Socrates remains a great inspiration to many. Socrates married Xanthippe and together they had three children. Tradition suggests that Xanthippe was argumentative and hard to please, with Socrates the model of philosophic calm. Apart from a brief spell in the army, it is not clear how Socrates earned a living; but he attracted a group of young men, who came to learn and study with Socrates. Socrates sought to teach through a path of self-enquiry. He did not claim to have the answers; he would merely ask questions to his students, forcing them to think for themselves and question their own dogmas and beliefs. This famous statement of Socrates is symptomatic of his Socratic method. Socrates was always aware of the limitation of his knowledge. Plato writes how the thirty tyrants sought to involve Socrates in the unjust execution of Leon of Salamis, who opposed the Tyrants. Socrates, however, refused and could have been executed himself, had not the tyrants been overthrown. During Socrates’ life, the state of Athens was undergoing political turmoil after suffering a humiliating defeat in the Peloponnesian war. This exacerbated feelings of nationalism and loyalty to the Athenian state. However, Socrates felt compelled to test and examine his own countrymen. 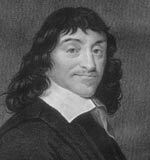 He was also willing to criticise and test conceptions of justice and avoid a narrow sectarian viewpoint. At one point, Socrates famously states (as quoted by Plutarch). However, his persistent criticisms and questioning created political enemies; his position was worsened by the suspicious climate of the time. A friend of Socrates, Chaerephon, asked the Oracle of Delphi if anyone was wiser than Socrates. The Oracle said that no one was wiser than Socrates. Socrates thought this was a paradox because he didn’t know anything. However, after talking to all the leading poets and dignitaries of Athens, Socrates realised that although other people thought they knew a lot – actually they didn’t. So Socrates affirmed that the Oracle was right. He was the wisest – purely because he was aware of his own ignorance. Socrates is often portrayed as a great saint – someone with a command of his own self. Though he was also reputed to have a quick anger. One story concerning Socrates was when Socrates, along with some students, went to see a well known ‘soothsayer’. The ‘soothsayer’ was asked to speak about the nature of Socrates. She replied that Socrates had all the negative qualities of vanity, ego, fear and hatred. At this, his students were outraged as they didn’t see them in their teacher. However, at this point, the soothsayer continued. True, Socrates has these qualities, but unlike others, he is also able to rise above them and keep them locked away. “Crito, we owe a rooster to Asclepius. Please, don’t forget to pay the debt.” Asclepius was the Greek god for curing illness. This could have meant Socrates saw death as freedom for the soul. Others interpret it as meaning that his death was a purifying remedy for Athens’ misfortune and mistakes. Citation: Pettinger, Tejvan. 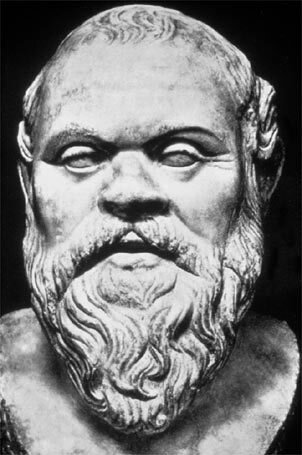 “Biography of Socrates“, Oxford, UK – www.biographyonline.net. Published 7 May 2011. Last updated 10 February 2018. Socrates’ Way at Amazon. 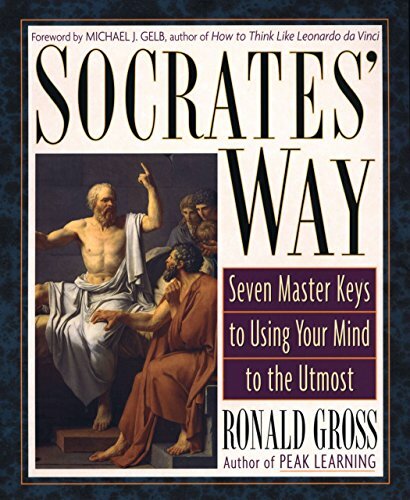 In Socrates’ Way, you meet Socrates face-to-face, hear his voice, and learn how he changes people’s lives. The book provides step-by-step guidance on how to harness his methods to vastly enhance your own creativity and autonomy.